The developers at the startup company I worked for – then named Silicon & Synapse but later renamed Blizzard in a nod towards our tempestuous development methodology – played a great many games during our free time. And from that game-playing came the spark to create Warcraft. We were inspired to create Warcraft after playing (and replaying and replaying) a game called Dune 2, by Westwood Studios. Dune 2 was arguably the first modern real-time strategy (RTS) game; with a scrolling world map, real-time unit construction and movement, and individual unit combat. It isn’t that much different in design than a modern RTS like Starcraft 2, excepting perhaps a certain scale and graphics quality. 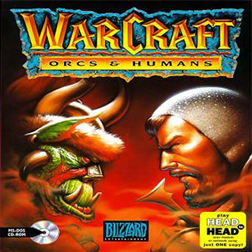 I know a lot of us have a long history with the Warcraft series. I may cover it in the future, but I couldn’t resist blogging about this incredible insight into what is probably the most successful game series of all time.